We got Spring for a few days this week – it was delightful. The blossoms are so pretty this time of year and I managed to plant my tomatoes, zucchini and cucumbers this weekend…just in time for the rain. I have been thinking long and hard about the ALYOF (A lovely year of finishes) goal for this month. Last month was a bit of a bust, as life got in the way….how dare it :-). 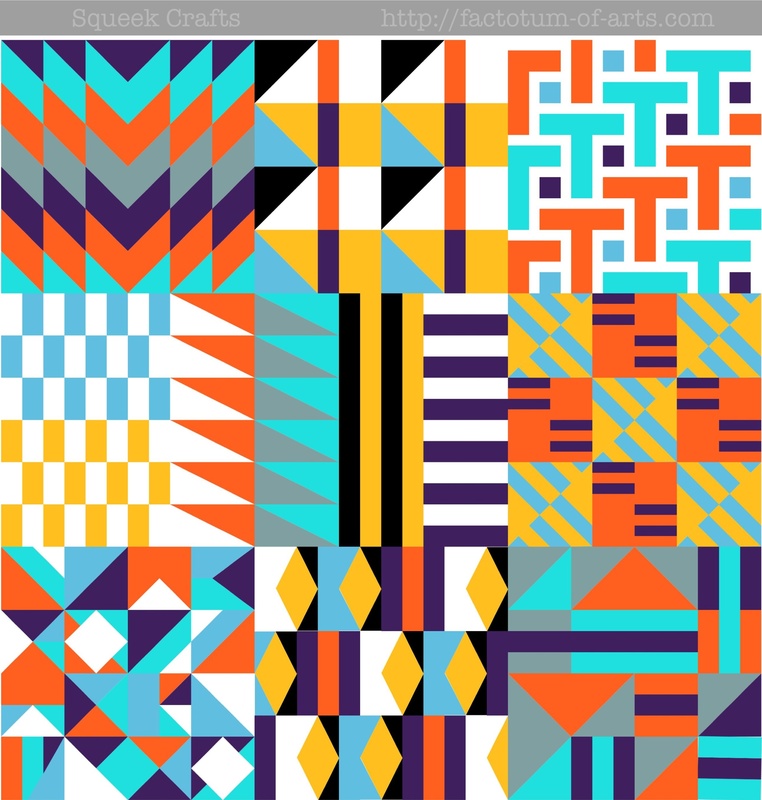 This month is a very practical goal….I am teaching a Sampler Quilt classes at Spoonflower soon. So, I really need to get at least the first 6 blocks made and the lessons written, if possible the whole 9 blocks. This entry was posted in Uncategorized and tagged a lovely year of finishes, quilt class, sampler quilt, Spoonflower on April 7, 2014 by mlwilkie. wait, is this your sampler?! that is a SAMPLER, girl!!!!! wow! I have always loved this design! I absolutely cannot wait to see it in fabric. LOVE love love these blocks! So excited to see them in fabric! I am going to say something out loud that people will probably judge me for, but I do not like samplers. Well, that is to say, I don`t like most samplers, cause your design is fantastic and would probably be the only sampler quilt I would ever make! Awesome design!!! Thank you for improving my outlook on sampler quilts!